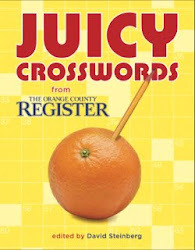 The Pre-Shortzian Puzzle Project: 1960 Puzzles Up, Will Shortz in CROSSW RD Magazine, and Barbara Hindenach Solves Blast! Challenge—Again! 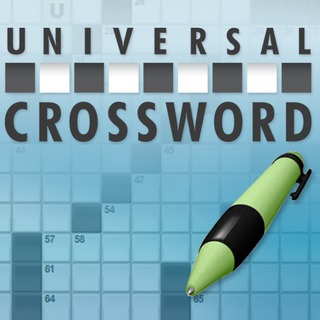 1960 Puzzles Up, Will Shortz in CROSSW RD Magazine, and Barbara Hindenach Solves Blast! Challenge—Again! 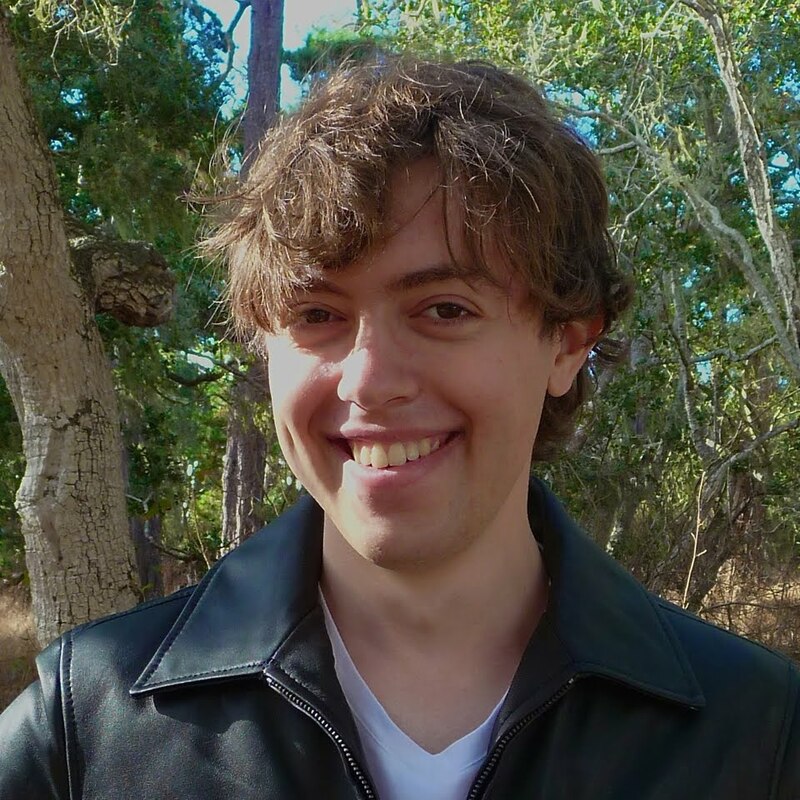 It's been another busy week on the proofreading front, starting off with 5 puzzles from Mark Diehl on Friday night, which he followed up with 31 more Saturday morning, then another 31 that afternoon, and finally 30 more later on. Tuesday night he sent another 31 puzzles, which were followed by 19 more. Then early Wednesday morning Todd Gross sent 8 puzzles with 14 mistakes. Soon thereafter Mark sent 7 more, and after that 31 came in from Denny Baker. Thursday night Mark sent 26 more, which were followed by 31 more Friday afternoon. Thanks so much again, everyone—we're continuing to make great progress! 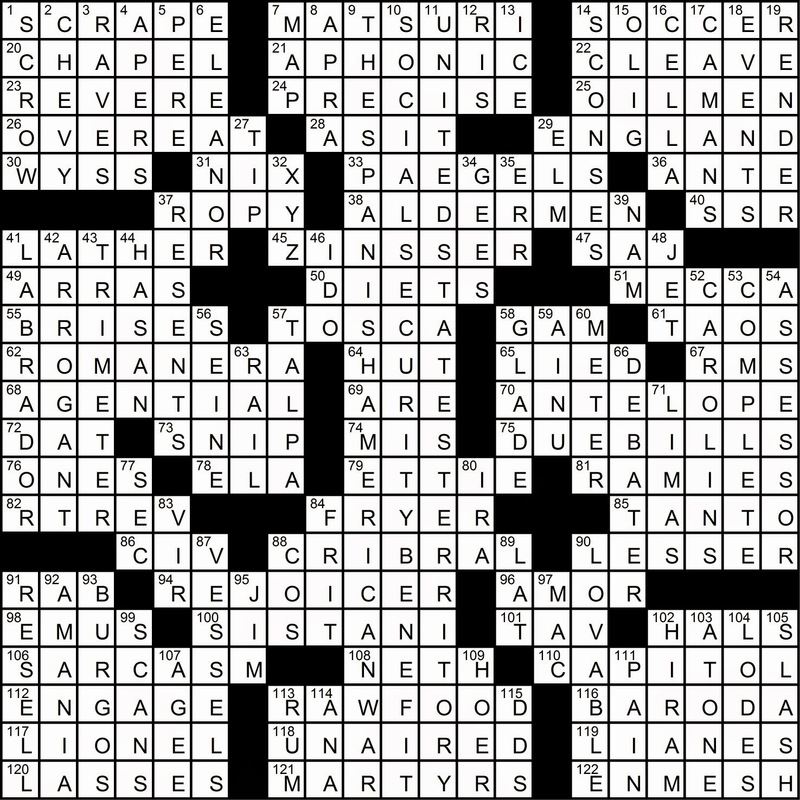 Speaking of progress, I sent the 1960 proofread puzzles to Jim Horne at XWord Info Monday evening—to see them, click here. Thanks again, Jim! 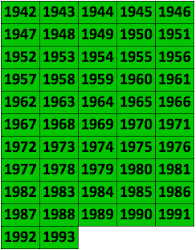 I'm hoping to have the 1959 puzzles ready within the next week or so. Barbara Hindenach Solves Blast! Challenge—Again! Congratulations to Barbara Hindenach, who was the first to solve last week's Blast! challenge—again! Barbara sent in her answer Wednesday morning and was also the first to solve the February 20 challenge! Last week's clue, from the July 28, 1956, puzzle, was "Item on the Congressional agenda." The entry: FORTY-NINTH STATE. How times have changed! 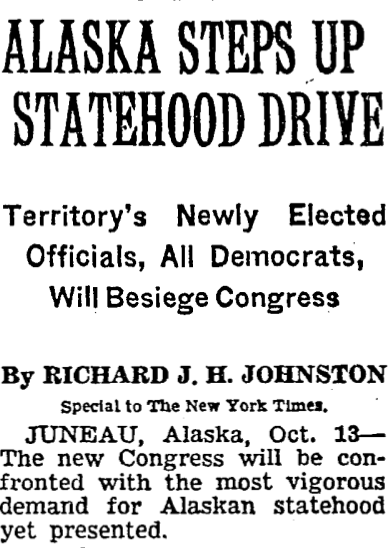 New York Times, October 14, 1956. This week's Blast! challenge is up in the sidebar and is a real doozy! 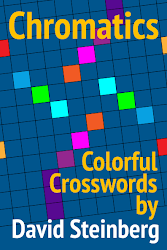 I'm continuing to make my way through the old issues of CROSSW RD Magazine, and this week I'm delighted to post Helene Hovanec's fascinating profile of puzzlemaster Will Shortz! 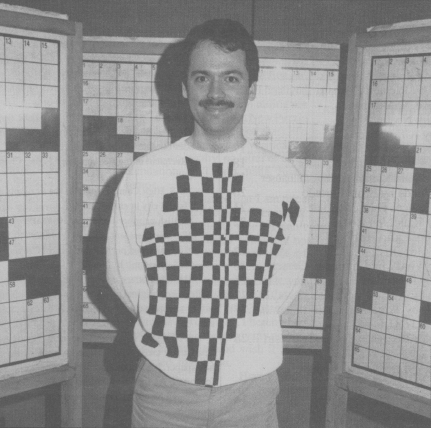 "Renaissance Man: Will Shortz" originally appeared in the May/June 1992 issue and can be seen on Scribd by clicking here. A comprehensive overview of Will's legendary life in puzzles, this article is only missing one thing that might appear in a similar piece today: an allusion to his other great passion, table tennis! by permission of Stan Chess and CROSSW-RD Magazine.